This is known as laughing gas and is offered in our office as a mild form of sedation that is helpful during treatment. It does not cause your child to sleep; it relaxes apprehensive patients so they may get through the treatment in a more positive manner. 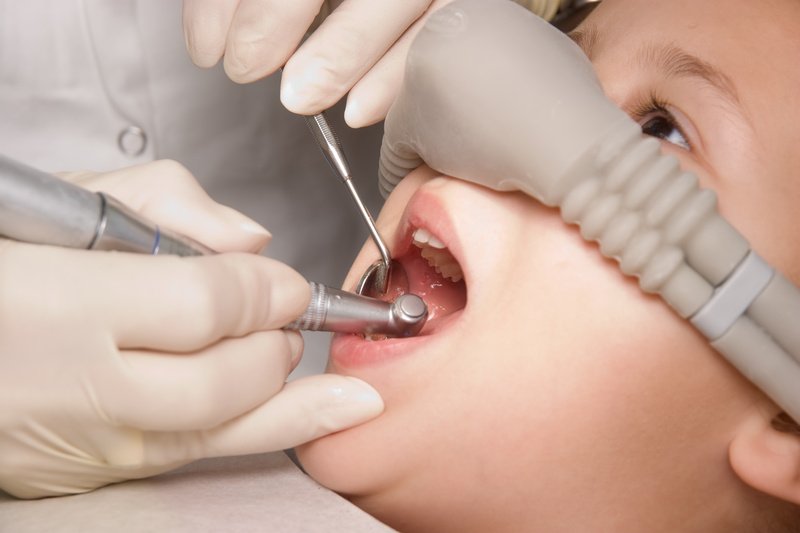 Many children experience anxiety and fear about dental treatment. With IV sedation, our anesthesiologist will carefully administer measured doses of anti-anxiety drugs and pain medication intended to help put your child at ease. I.V sedation is a comfortable way to get treatment completed in one visit, helping avoid a negative dental experience for your child.